Challah and Cherry Blossoms: This is Challah! To start this series of posts about the week of making Challah for the bread shop, I want to share something about Challah. We think of Challah as meaning the loaves of Challah, which is the way I use it too, but there is a scriptural mention of Challah that goes all the way back to biblical times. In the scripture above from the book of Numbers, the word Challah appears in the Hebrew scripture. There it refers to the first part of the dough that was to be offered as a gift to God when the Children of Israel fist enter the land of Israel. You shall make a gift to the LORD from the first yield of your baking, throughout the ages. Since making challah, I have known that even though this scripture applies to bread that is offered in the land of Israel, many Jewish women in their homes and bakers in other parts of the world make a remembrance of this by taking a first piece of the dough and refer to this as `taking challah`. In the Jewish observance there is a specification that you have to make a large enough quantity of dough to take challah, and as I only make a small amount, I have never done it. But when I realized that the amount of flour I would be using every day to make the loaves would be large enough to `take challah` and make a `bracha` blessing I felt that I wanted to do this observance which comes from the rememberance of when the `challah` commandment was given. The opportunity this week to make challah came as a gift from God, so it seemed that taking challah in this way would be a way to offer my thanks. I became excited to `take challah` for the first time! My sister gave me a beautiful Challah book for my birthday this past December, and in the book, in addition to recipes, there are explanations and significance in the steps of making challah. It also shows with simple explanations about when you are to `take challah`, and make the blessing. So this week when I made enough loaves with enough flour to take challah, I separated the piece and make a blessing. When we take a small part of the dough off the big whole dough, it is like a tithe, an acknowledgement of giving the first of everything we do to God, the one who provides us with everything. I offered of the first dough, and raised it up to the heavens with the blessing. From there started the adventure week of the 20 loaves!! Hope you enjoy a few photos and a little of the story in this series of posts. 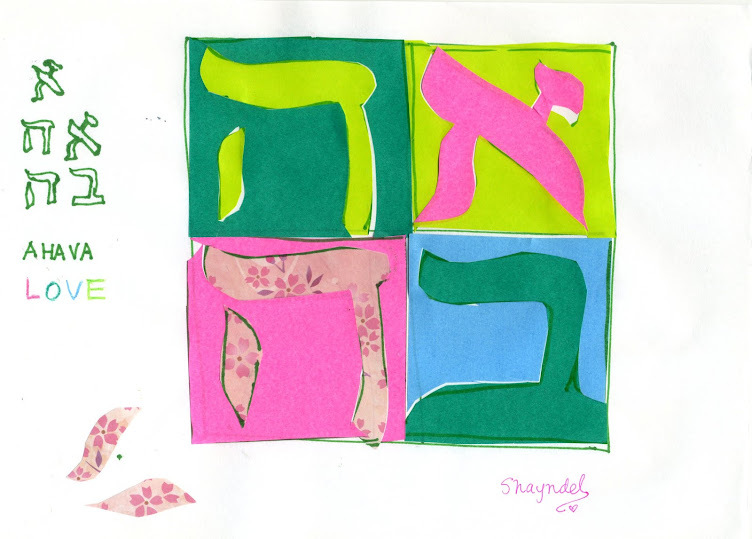 I included a little card with the Challah, with a message in Japanese on the front about how we make Challah on Shabbat, and on the other side the above scripture from Numbers. I felt moved , Shayndel, by your deed of offering the first piece of dough to God. What a nice, significant gesture! Your week with the loaves of challa, has been a blessed adventure , indeed. The addition of the card was a great idea! You're very resourceful! Thank you Duta. I am moved by your reading and understanding. Glad you liked the card idea too. God Bless You and have a blessed week!! Thank you T! I use the book a lot, it was such a great gift, and encouragement. Thanks for visiting and reading the post. Love and hugs!